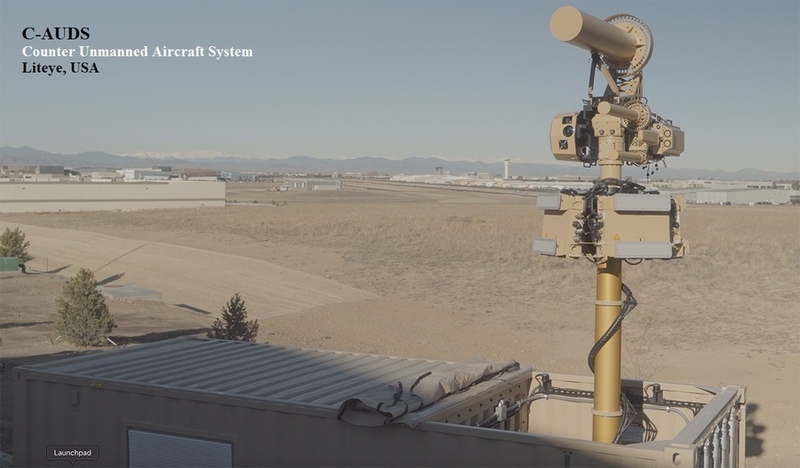 CENTENNIAL CO, March 26, 2019 /24-7PressRelease/ — Liteye Systems Inc, received an early 2019 multi-million-dollar follow-on order for their Containerized Anti-UAS Defense System known as C-AUDS; a one-of-a-kind commercial product in operation with the US DoD protecting lives and critical infrastructure around the world. This is the fourth order received overall in a short amount of time for these systems, demonstrating the affordability, trust and confidence customers have with Liteye and the C-AUDS technology. Liteye’s combat proven technology is highly effective in the Detect, Track, ID, and Defeat kill-chain widely known and associated to the DoD Counter Unmanned Aircraft System (C-UAS) war-time mission; however, increasing use of commercial drones in the US, around non-DoD restricted areas, shed light on a state-side need for Counter-Drone/C-UAS technology, not associated to the DoD. For state-side use, Liteye will be demonstrating their Counter-Drone/C-UAS products in San Antonio, Texas at the Border Security Expo in March. “Considering the growing drone activity in restricted areas around Borders, Airports and Critical Infrastructure, our participation in this event cannot come at a more important time,” states Vice President of Business Development for Liteye Systems, Mr. Ryan Hurt.